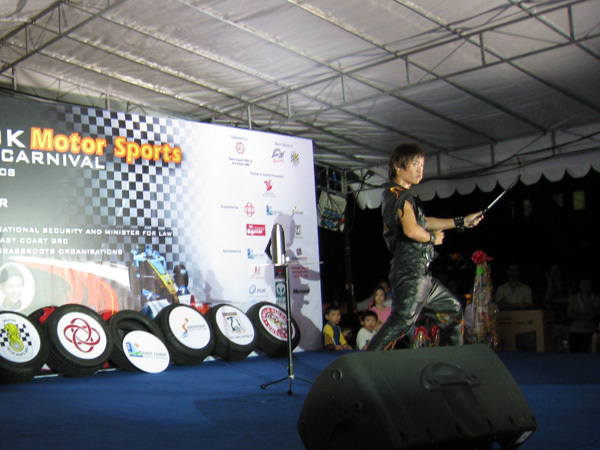 Danny opens the show on an explosive note with his award-winning poi twirling act. This is an earth-shattering opener that promises to stop audiences in their tracks regardless of place or time. 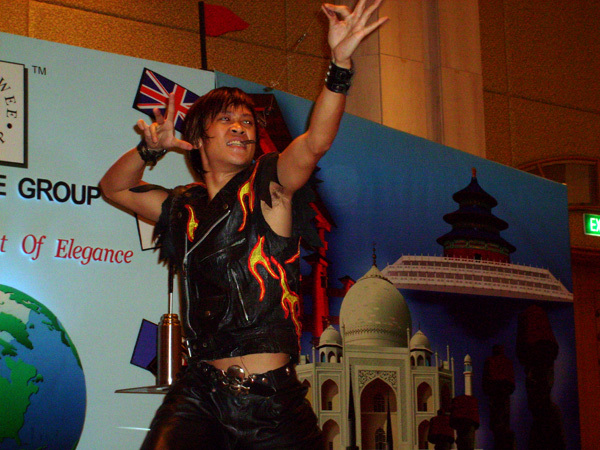 Feel the heat as Danny brandishes his twin pois ‘Molten’ and ‘Magma’! 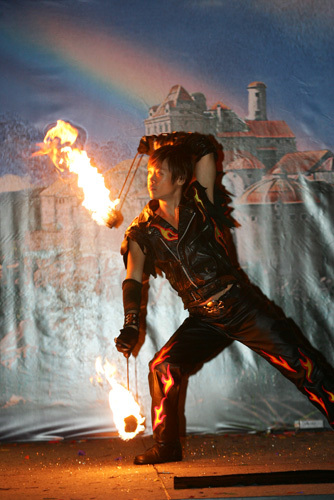 Danny demonstrates a series of fire stunts with three flaming fire torches. 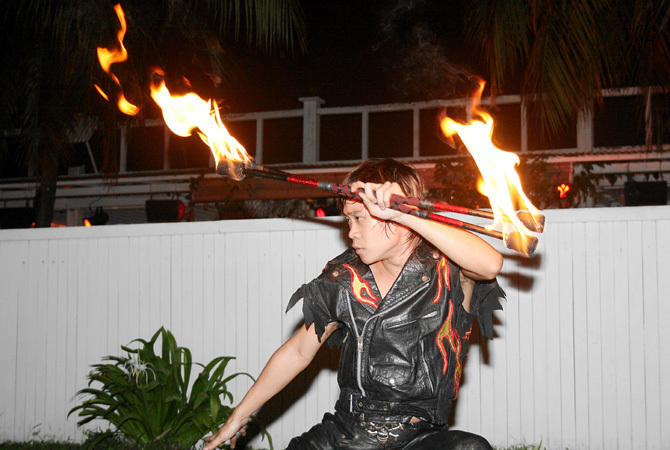 Watch as Danny transfers the flames from one torch to another with nothing but his bare fingertips. No special effects involved! 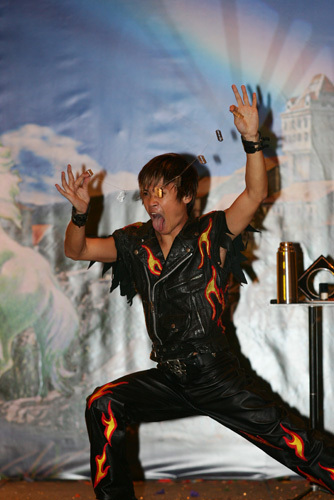 Feel the suspense as he swallows a mouthful of fire and blows it out again like a flaming volcano! 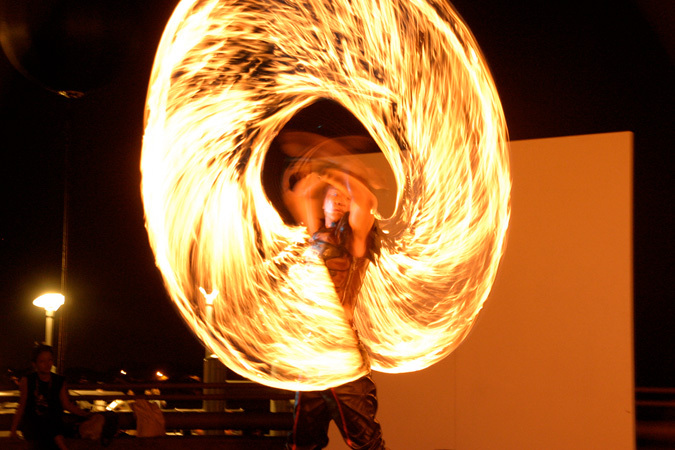 The first half of the show is brought to an exciting climax with a dazzling display of double fire staff spinning, to the backdrop of thrilling Brazilian drumbeats. 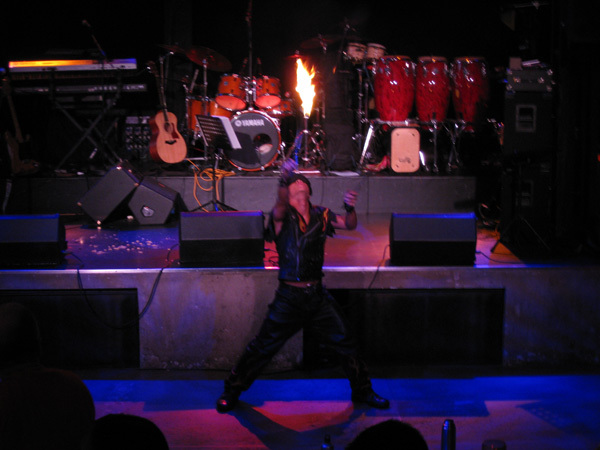 Witness the grace as Danny flows to the beat of the music, dancing amidst flames that entwine his body like a rising fire dragon. 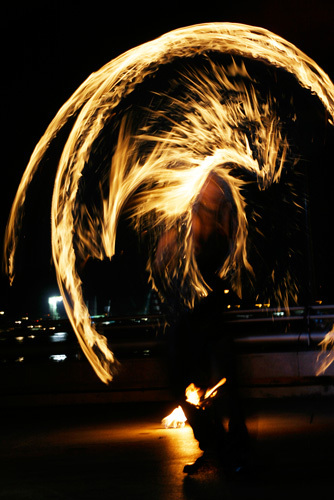 Sit back, hold on to your seats and witness how Danny spellbinds the crowd under the hypnotic trance of fiery circles in motion. 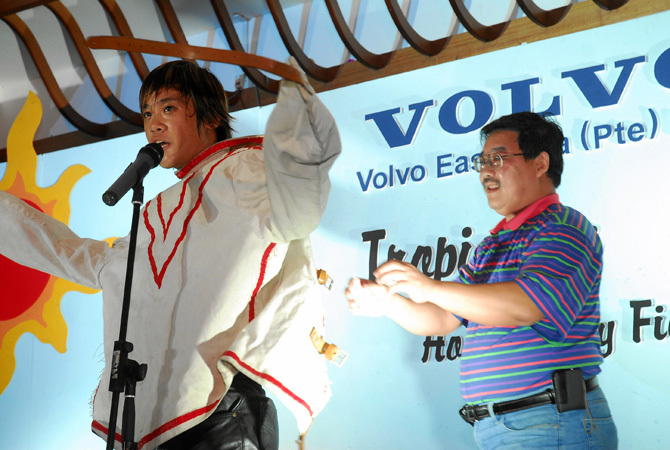 A member of the audience is invited on stage to assist in this test of will power as well as skill and agility. Danny will be strapped up in the straight jacket and thoroughly inspected before performing this stunt. He demonstrates the ability to escape from a straight jacket and even does it under the most physically demanding conditions. A thrilling as well as riveting piece of mystery from the far east. As a finale, eight sharp razor blades are displayed one by one. Danny cuts a piece of card with them, displaying their sharpness. One by one, he swallows the blades in his mouth. He then swallows a piece of string as well. To top it off, a ball of fire is swallowed and through skillful maneuvering, the razorblades are all strung on the length of thread! 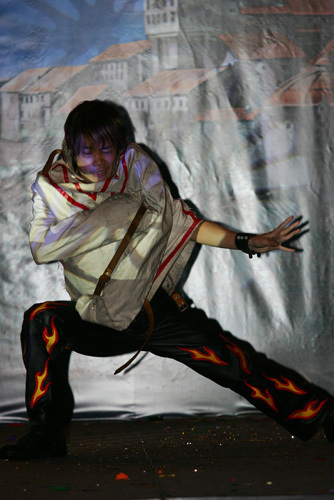 @Copyright @Copyright 2009. Danny Koh. All Rights Reserved.